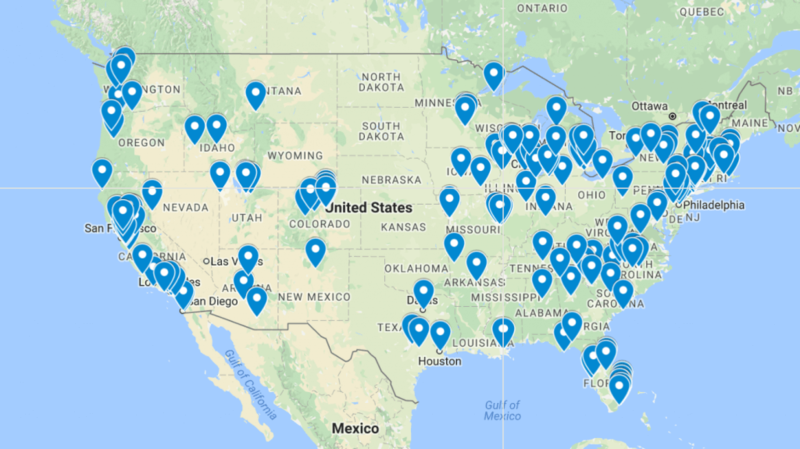 Less than a week after President Trump announced the United States’ withdrawal from the Paris Climate Agreement, cities and states across the US have adopted the goals of the agreement as their own. Supporting those cities and states (and the grassroots coalitions that hold them accountable) provides a significant opportunity for progress on climate change and for making gains on health, equity, and economic vitality. Cities and states are natural leaders when it comes to addressing climate change. For them, the transition to a low-carbon economy pays off not only in terms of protection from future climate change but also in terms of health, economic opportunity and equity. 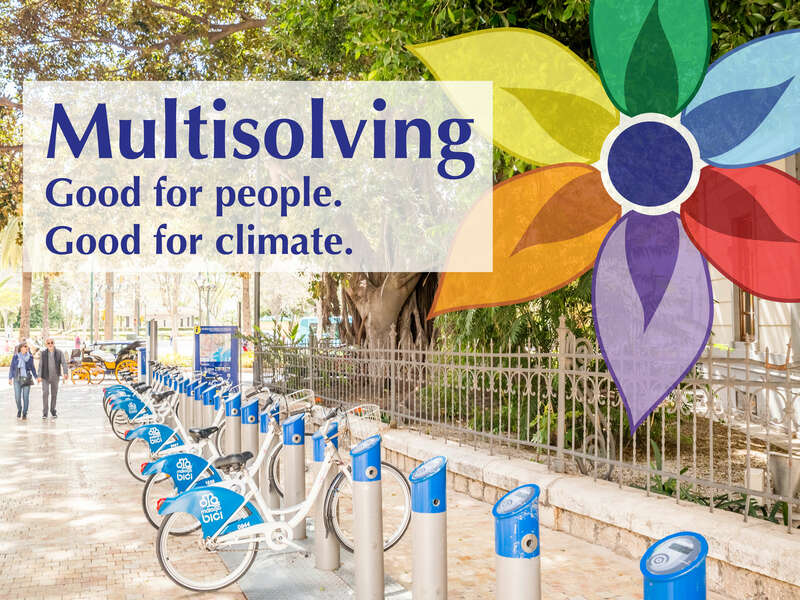 When communities work thoughtfully to reduce emissions, they engage in ‘multisolving’, becoming better versions of themselves by making improvement in multiple areas with a single investment. Cutting down emissions from power plants and automobiles and filling cities with growing vegetation reduces rates of asthma and other respiratory diseases. In 2011 it was estimated that particulates from fossil-fuel-driven power plants trigger over 600,000 asthma attacks in the US. One study in New York City showed that asthma prevalence was reduced by 29% in neighborhoods with the most trees. Building an infrastructure that allows people to get where they are going without using a car reduces emissions from the transportation sector while providing physical activity that reduces obesity and chronic disease. With an estimated 11% of all US health care expenditures attributed to poor health resulting from inadequate physical activity, walkable communities are clear winners not only for the global climate but also for local health and well-being. Economic opportunities come along with the carbon and health benefits. The Indianapolis Cultural Trail, an 8-mile bike and pedestrian lane connecting 5 neighborhoods with the downtown core, added around 90-100 new jobs to the area and increased annual consumer spending by $1-3 billion on each section of the trail. When people bring in trees and gardens and green roofs into urban areas they reduce energy use (and thus greenhouse gas emissions) from heating and cooling. Urban green spaces also provide a demonstrable improvement in mental health and sense of well-being. Green cities handle extremes of temperature and rainfall (which are likely consequences of climate change to come) better than less green cities, preventing property damage and protecting lives and health. Investments in home weatherization around the country are reducing the monthly energy bills for families on fixed incomes while also reducing greenhouse gas emissions. With good program design the work can done by local young people who gain new skills and earn a living wage in the process. A clean efficient economy can also save time. When a fee was charged to reduce congestion in downtown London, the time people spent in traffic was reduced by 30%. With cities and states stepping forward into climate leadership, a new opportunity presents itself to everyone focused on protecting the global climate for the long-term. Until now, much of the best work done at the city and state level has been carried out on shoestring budgets by grassroots groups, city leaders, and state legislatures, all of whom juggle numerous priorities often with small staffs and small budgets. Some of the most innovative work of all has been led by grassroots environmental justice groups led by people of color. The communities these groups are embedded in experience the intersections of the health, economic, and inequity issues created by our current fossil fuel dependent economy on a daily basis, and they often have the clearest vision of any of us of a fossil free, equitable future. Supporting these leaders starts by asking them what they need to meet their goals and visions. If we are going to seize the opportunity represented by the wave of cities and states stepping forward after the US withdrawal from Paris, we will need to make sure city, state, and grassroots leaders have the resources and capacities they need. Funders, citizens, large environmental groups, and business leaders should all be asking ourselves how we can best support and amplify the excellent work already being done on the ground. It is now more important, and more visionary, than ever before.